NaturaGart is an association of various companies that supply garden improvement products and services. NaturaGart's clients benefit from our more than 30 years of experience. 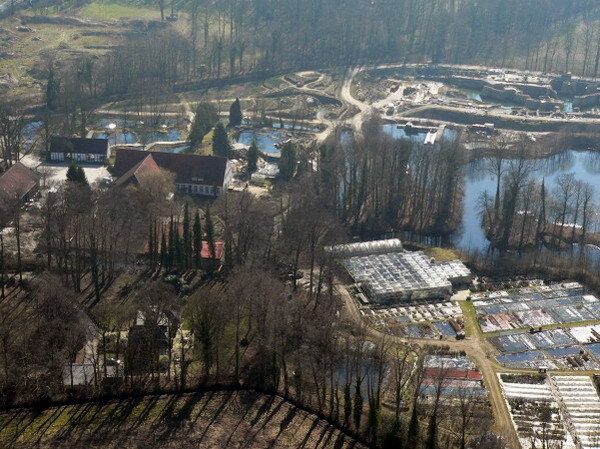 During this time NaturaGart has supplied expertise and construction materials for more than 50,000 ponds. And currently this sum increases by more than 1,500 ponds every year, of which more than 500 are swimming ponds. NaturaGart supplies everything: from planning, to building supplies, to plants. 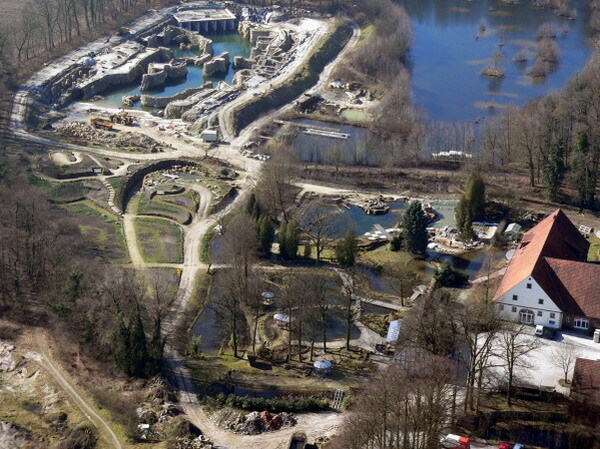 NaturaGart is building a 100,000m² park at its German production location, featuring many ponds and a natural water wilderness. 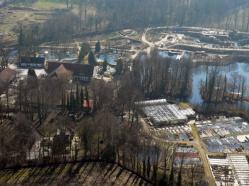 To the right is the plant nursery, above that the water wilderness and the underwater park. To the left the 7 buildings that belong to the estate, behind that the park. The NaturaGart park also boasts the world's largest artificial underwater scuba diving park. For NaturaGart the park is an ideal open air laboratory where many new products have been developed. About 3,000 people visit the NaturaGart park every day. NaturaGart is not a mail-order company. We market mainly our own products. Counting suppliers and associated companies, NaturaGart has around 150 employees, of which about 100 work at our production site in Ibbenbüren. Building your pond with NaturaGart ensures expert advice and first class materials. NaturaGart supplies mainly to the end client. This allows for direct contact between the pond builder and NaturaGart staff, and guarantees that all our recommendations actually reach the building site.